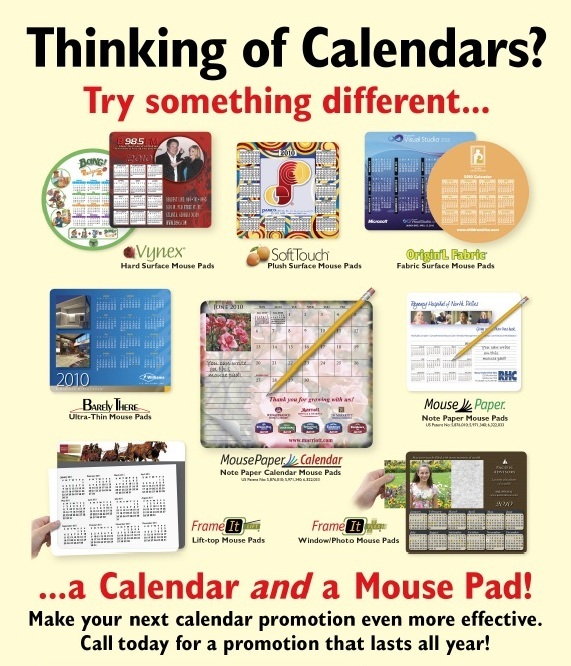 Recently, a client called to tell us that they were thinking of creating some branded calendars to help promote their branding efforts in 2011. Now, we have worked with them before and they know that calendars are among the most succesful and long-lived promotional products. But, after listening to them, and hearing their marketing objectives, we suggested an idea that will allow them to stretch their marketing dollars even further.